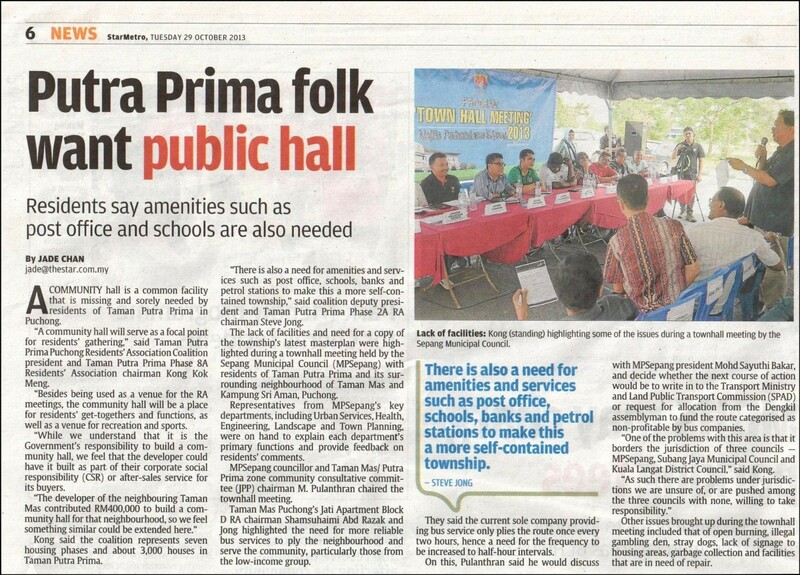 Not just community hall but a primary school nearby (particularly a chinese primary school) is also badly needed. Some 500 new primary chinese school applicants for 2014 couldn’t get into the few chinese primary schools in Puchong. This will surely add burden to most parents who have to arrange transport for their children to go to school outside of Puchong area. This will add worries for these working parents who have to arrange another transport for their children to daycare / tuition centre after school hour. Nowadays, most of our young children are forced to leave home early in the morning and come back late in the evening due to both parents are working to meet end needs. With a chinese primary school nearby, this will surely help to lift some burden off for the working parents.